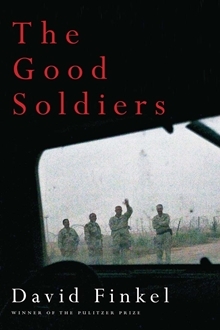 If you want to get a feel for the Iraq War from the perspective of a combat unit, I highly recommend The Good Soldiers by David Finkel. The book is stunning, engaging, and haunting. Finkel was with the Battalion 2-16 for one year in eastern Baghdad during the surge in troops ordered by President Bush. It is possible to read newspaper accounts of roadside explosions that injure or kill our soldiers without much of an emotional reaction. They have become commonplace, which tends to make us numb. I promise that you will never react that way again if you read this book. The soldiers in this unit were playing Russian roulette every time they loaded into their Humvees and left their base on patrol. There are trash piles everywhere along the roads, and they lived in constant fear of bombs hidden in them. Nearly every day they encountered so-called explosively formed penetrators (EFPs) that are connected by a wire to a trigger device, which is held and detonated by a nearby Iraqi. The Humvees offer almost no protection from these bombs—they easily cut through the vehicles and the soldiers in them. Finkel is a brilliant writer, and he gives you a real sense of what the soldiers are thinking and feeling as they deal with the confusion, terror, tragedy, and losses over the course of their tour in Iraq. 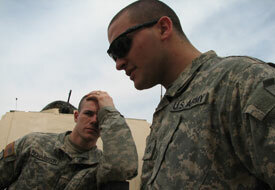 You share their experiences in Baghdad and, unfortunately, the experiences of many in rehabilitation centers back home. The book does a nice job of laying out the facts and letting the reader decide whether the surge was a success. The soldiers are so young, and many of them are in the military because they lack any other good option. They are overwhelmingly from poor families and many have been in trouble with the law. They have no training in counter-insurgency techniques, even though they are expected to work effectively with local Iraqis. The soldiers are brave, loyal and care deeply for each other, but the vast majority seem to conclude that their efforts are a waste. The political leaders and military commanders have strong views that largely are disconnected from what is happening on the ground. This book offers a timeless view of war—with many experts predicting that it will become a classic. It also offers a new appreciation for the tremendous cost of this particular war. It should be required reading so that we regularly question whether the price of keeping our soldiers in Iraq and Afghanistan is too great. Thanks for shaing this book, Mike. Regardless of one’s position on the current wars (or war in general), it is always important to remember the human element and honor the individual service and sacrifice of the men and women in our armed forces. I’m glad to hear that this book brings that human element and sacrifice into clear focus. On a related note, I heard from our friends in the 3rd Brigade this morning – none of them were injured in the suicide car bombing in Baghdad last weekend. God willing, they all will be safely home in the next 3 to 4 weeks. Thanks for the update on the 3rd Brigade, Norma. I thought about them as I was reading this book, and it made me even happier that we had done our best to get them ready for their work. Many thanks for taking the lead on pulling it all together.